It's an idea that is both simple and brilliant. Combining kid-friendly lyrics with familiar classical music not only introduces your child to some of our world's most famous symphonies and overtures, but it also encourages them to have a some fun while they do it. 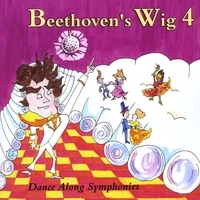 This time around, The Wig encourages the kiddos to get up and dance, and as many CD Baby listeners have already discovered, the group has a way of making these timeless pieces of music spring to life with a newness that your children will love.